Queen Mother Oprah Winfrey is like a fine wine. She just gets better and better as time goes on, and in acknowledgment of the multitalented personality’s lifetime of achievements, she is set to be the latest recipient of the Cecil B. DeMille Award at the Golden Globes. And because Oprah just continues to bust all the glass ceilings, she will make history as the first black woman ever to receive the prestigious award, which is given to an individual who has an enormous impact on the entertainment world. And if that isn’t Oprah in a nutshell, I don’t know what is. Meher Tatna, the president of the Hollywood Foreign Press Association, which votes for the Globes, said in a statement that Oprah is the perfect candidate for the award, adding that for generations, Oprah has “celebrated strong female characters on- and offscreen, and has been a role model for women and young girls for decades,” The Telegraph notes. 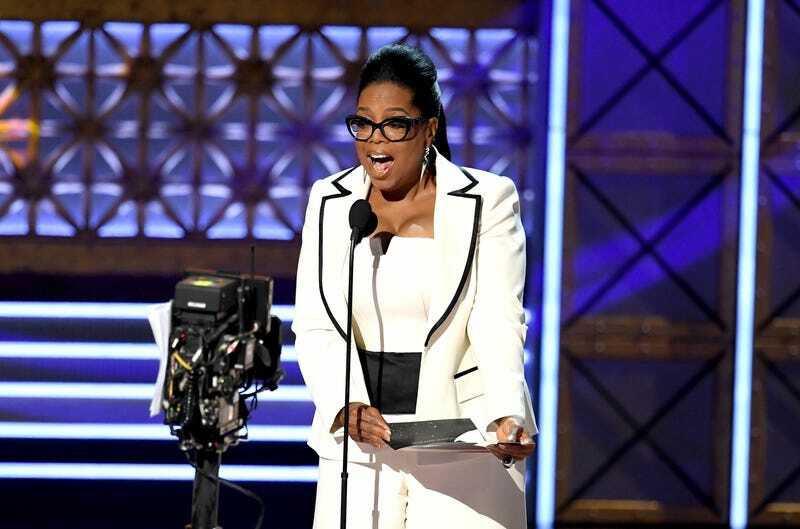 Oprah will join the ranks of Hollywood heavyweights such as Audrey Hepburn, Meryl Streep, Denzel Washington and Steven Spielberg in receiving the award. Along with being the first black woman to receive the award, Oprah is only the fourth black actor, period, to be given it. Out of 64 recipients thus far of the award, only 14, excluding Oprah, have been women, Deadline notes.